$25,900 PRICE REDUCTION now move in ready with extras!! 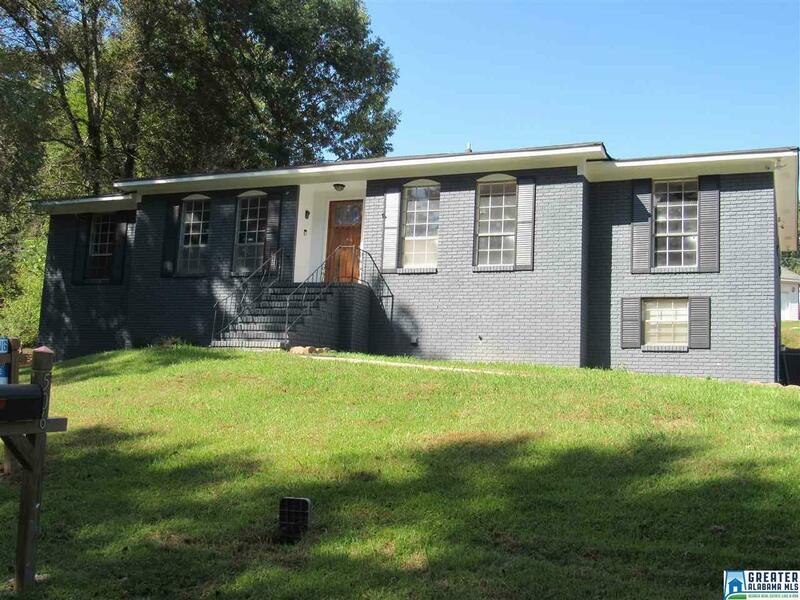 This beauty in Forestdale with an unbeatable price & fabulous location of Forest Haven! This 1 level brick home over a partial finished basement has all the room you could want! Walk into a formal living room, plus dining room. Tons of natural light! Open floor plan in main living area, large kitchen, lots of cabinets, tile floors & eat-in area! All new stainless steel appliances, brand new hardwoods throughout entire home with new tile bathrooms with floor to ceiling cabinets, jetted tub with tile surrounding entire bathrooms. Living room with bricked wood-burning fireplace. Walk out to large covered deck and backyard, off of living room, great for entertaining! 3 bedrooms and 2 full bathrooms on main level. Den, laundry, garage in basement and full bath ready to be finish. BASEMENT WRAP IS BY AFS. HVAC less than one year old, ROOF less than 3 years old. Septic cleaned, NEWLY installed drain pipes. Driving Directions: 78 West To Forestdale, Right On Hedgewood At B-P, Right On Mulberry, Left On Roberts, Left On Forestdale Bend Rd., Right On Carlton.